It is time for a little shopping in an unusual store. 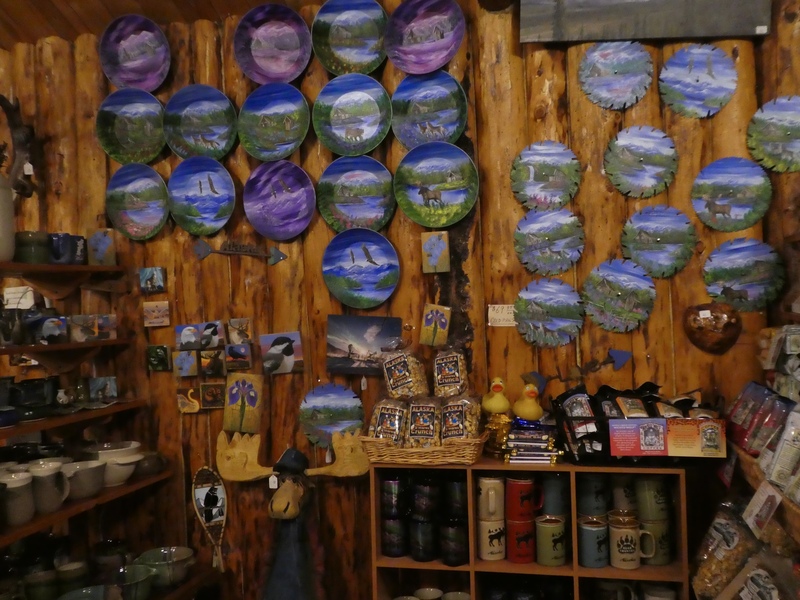 This is The Knotty Shop in Salcha, Alaska. 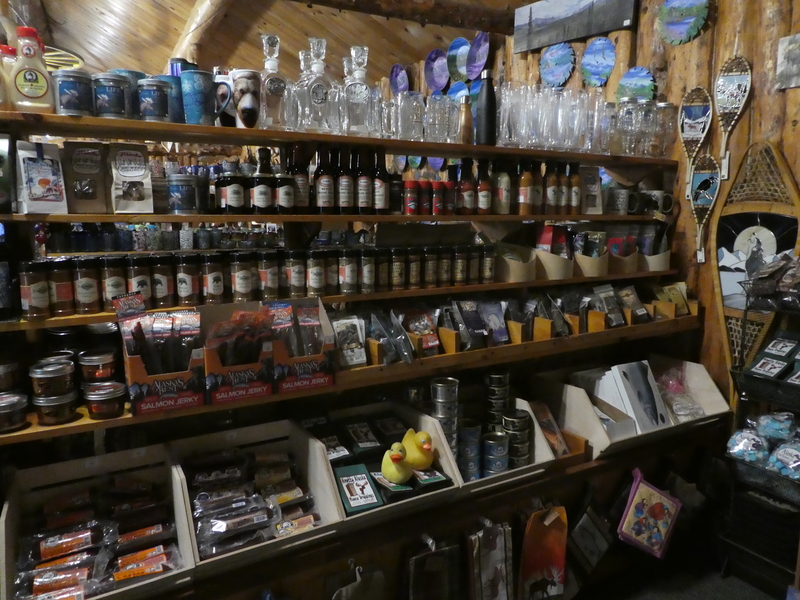 Follow the Richardson Highway south from Fairbanks to Salcha and you will discover The Knotty Shop. 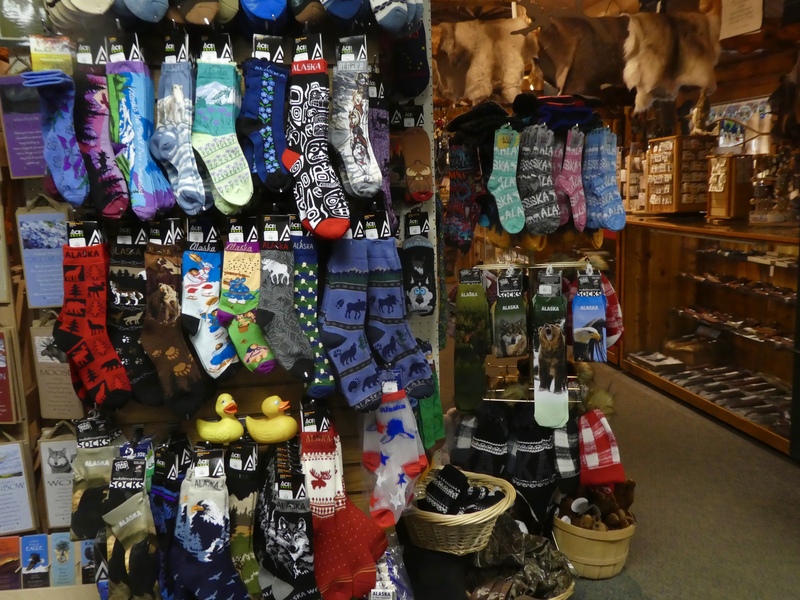 Founded in 1989 to showcase Alaskan made gift items, this is a great store. 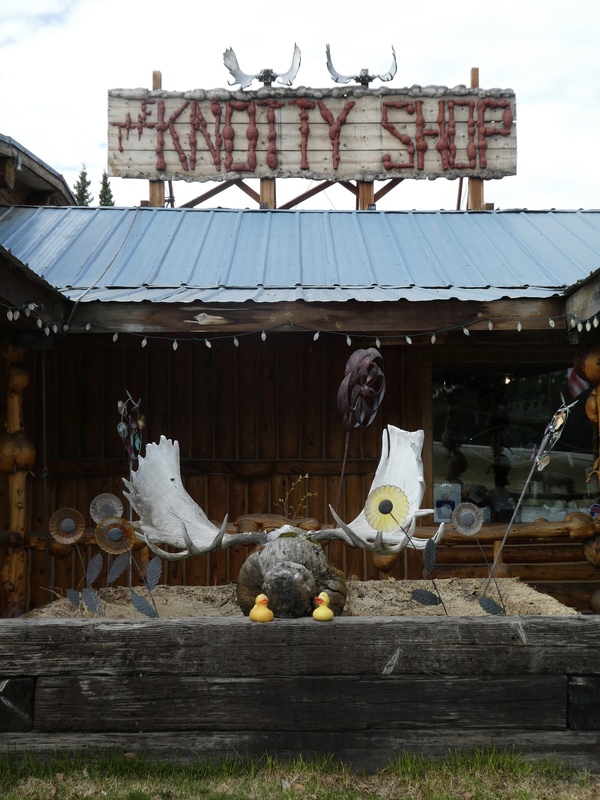 The Knotty Shop. We are by a moose head. 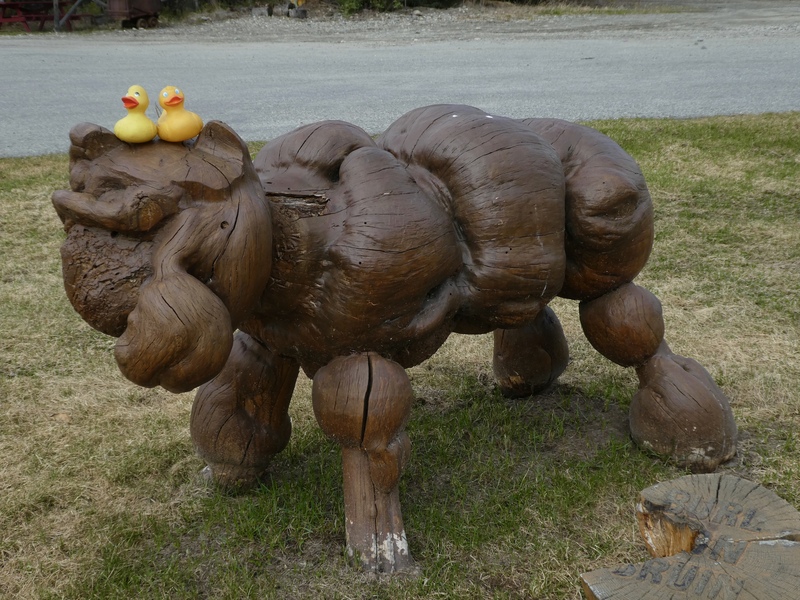 The posts and animals in front of the store are made of knotty pine. 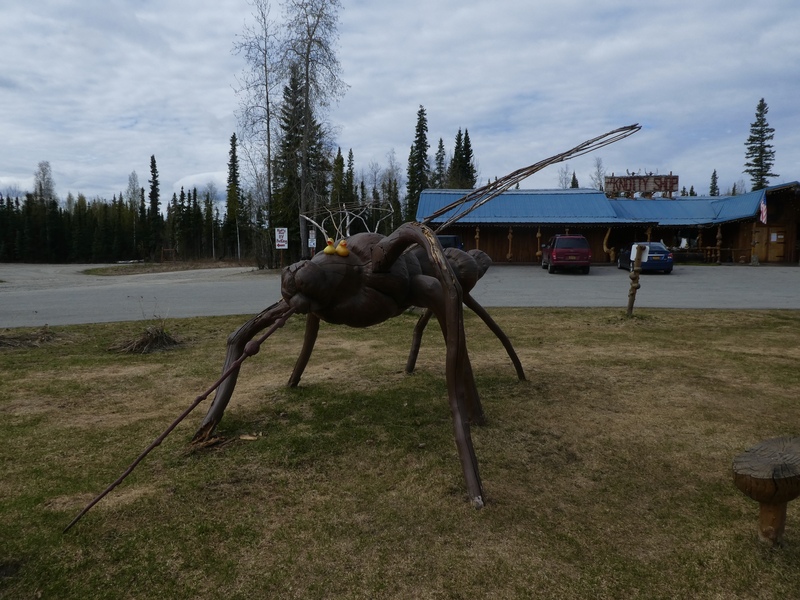 Alaska has giant mosquitoes, but we are glad they are not really this big. That stinger could kill humans and small ducks. There are a few animals carved here. 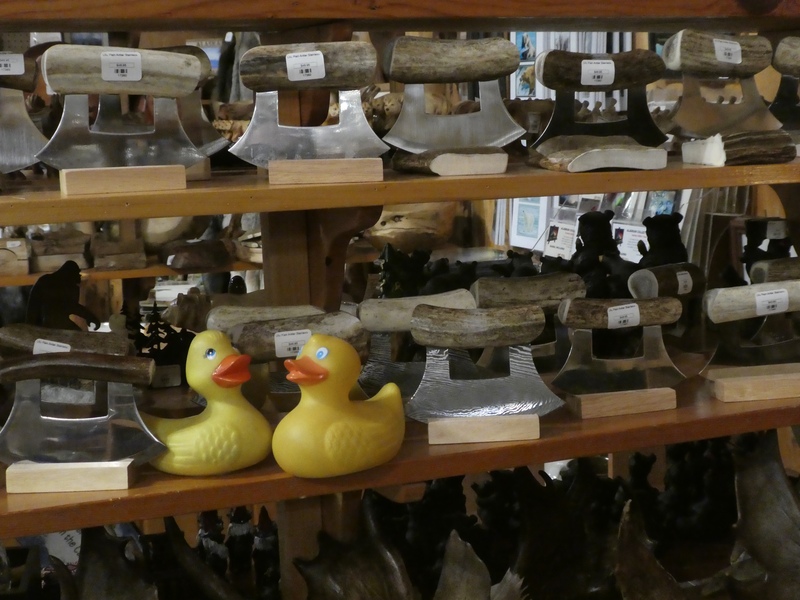 Even if the store wasn’t fascinating, and it is, these animals of knotty pine would make us enter this shop. 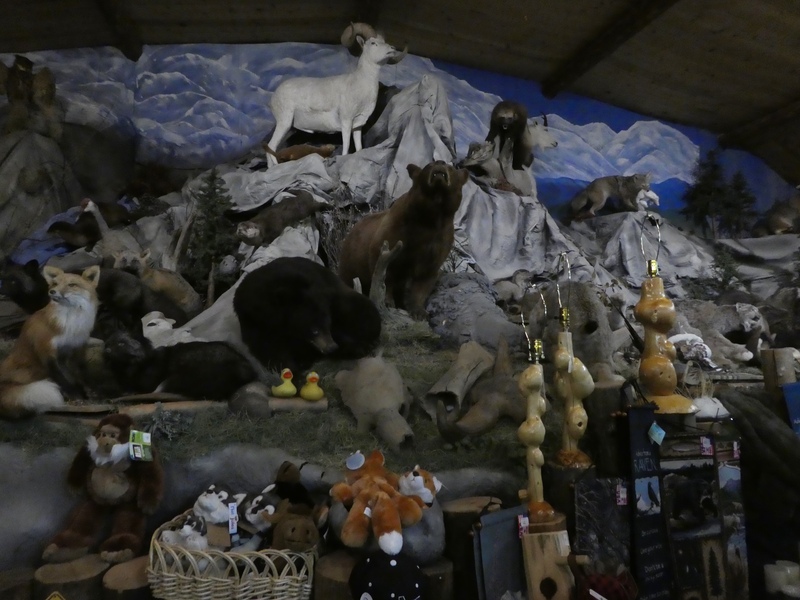 Toward the back of the store, we enjoyed this mountain with Alaska’s animals. 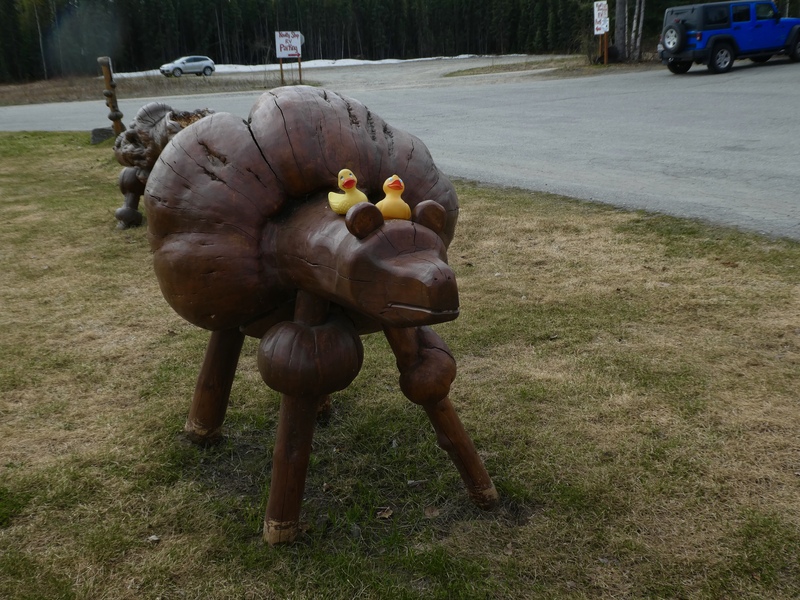 We Colorado Traveling Ducks have seen most of these alive while exploring Alaska. The sock displays always intrigue mom. We have some of these socks at home now. The Ulu knife of Alaska is handy for chopping and cutting. This is a nice display with many choices for Ulu purchasing. Hungry? Alaskan made jams, jellies and sausage. If you weren’t these jams and jellies will tease your taste buds. And the sausage is flavorful. Go ahead and indulge. They are delicious. These painted gold pans and saw blades are useful and decorative. We have gold pans and gold mining in Colorado, but we love these pans with Alaska scenes. After a hard afternoon of shopping, we needed some ice cream. Of course, mom bought her favorite, mint chocolate chip. It is our favorite also. 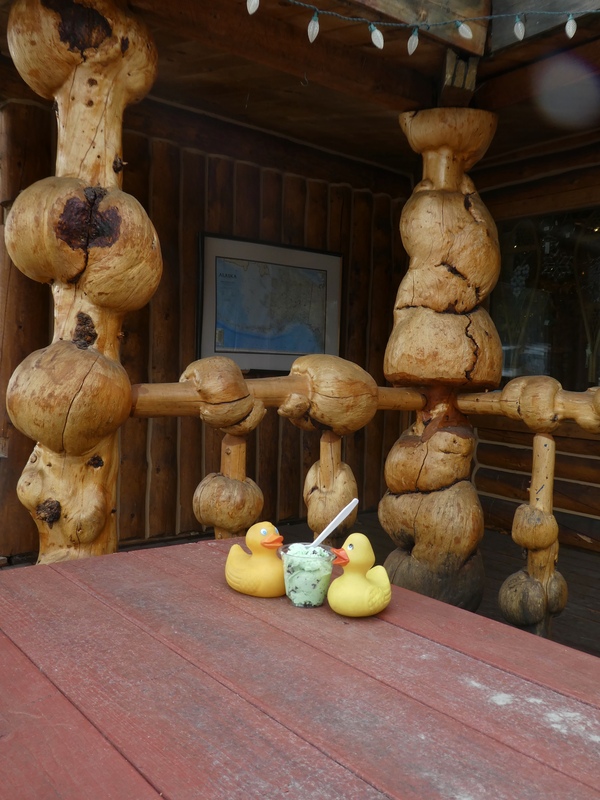 Sitting on the knotty pine picnic tables eating Alaska made ice cream was a great end to our shopping trip.